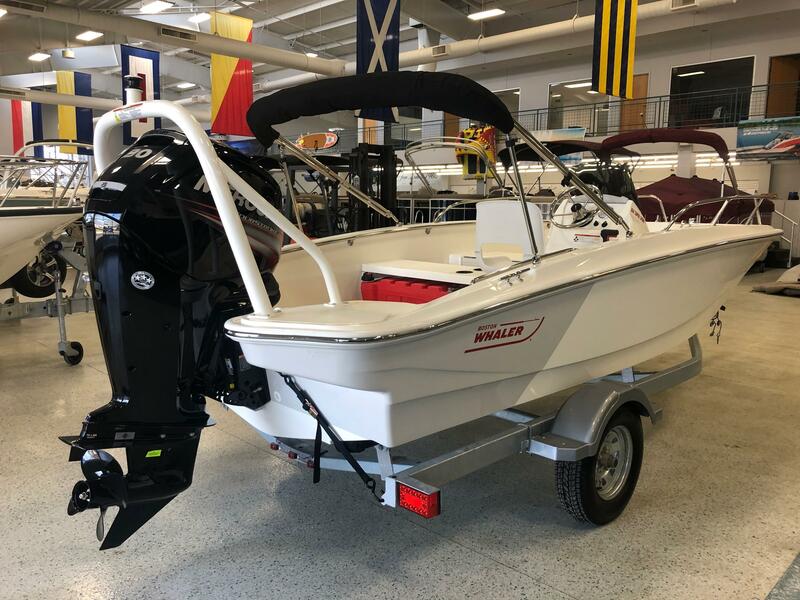 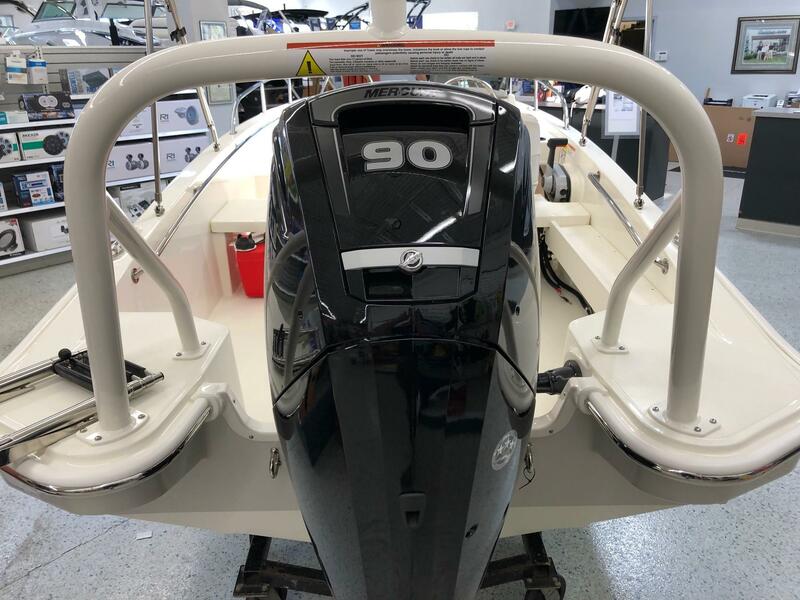 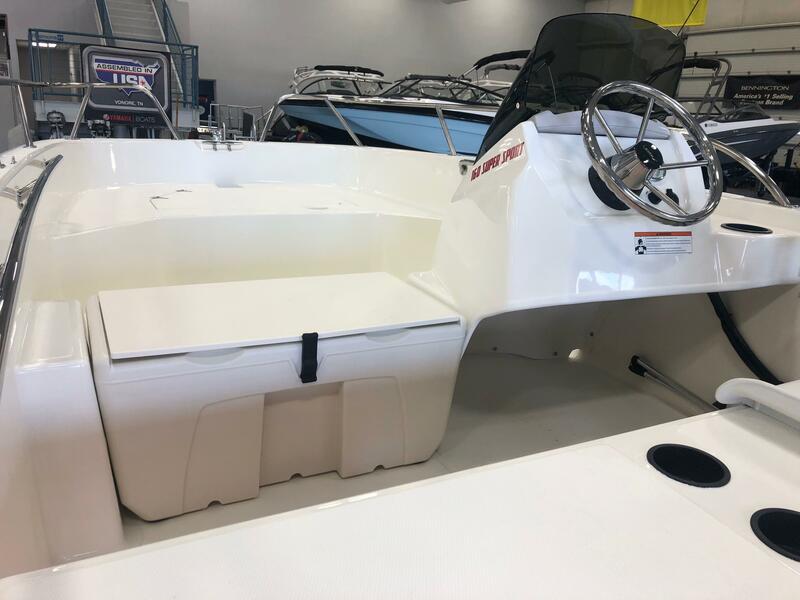 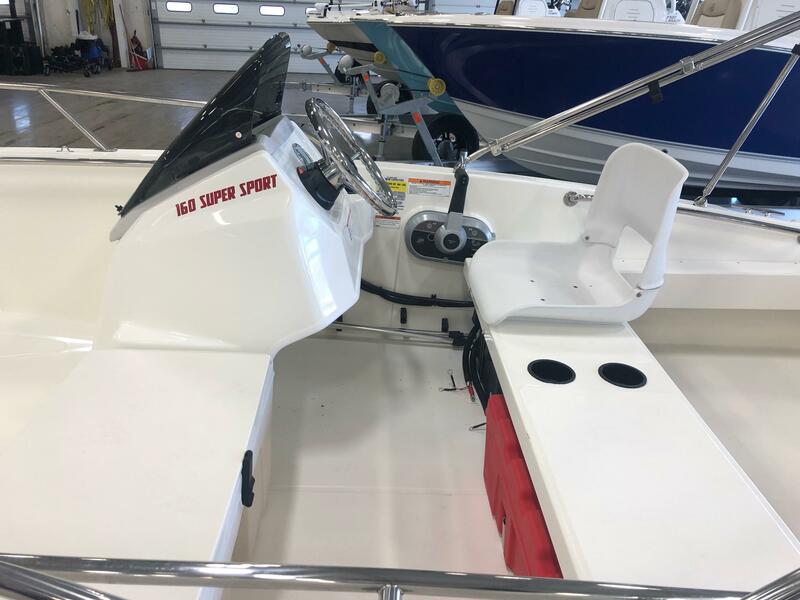 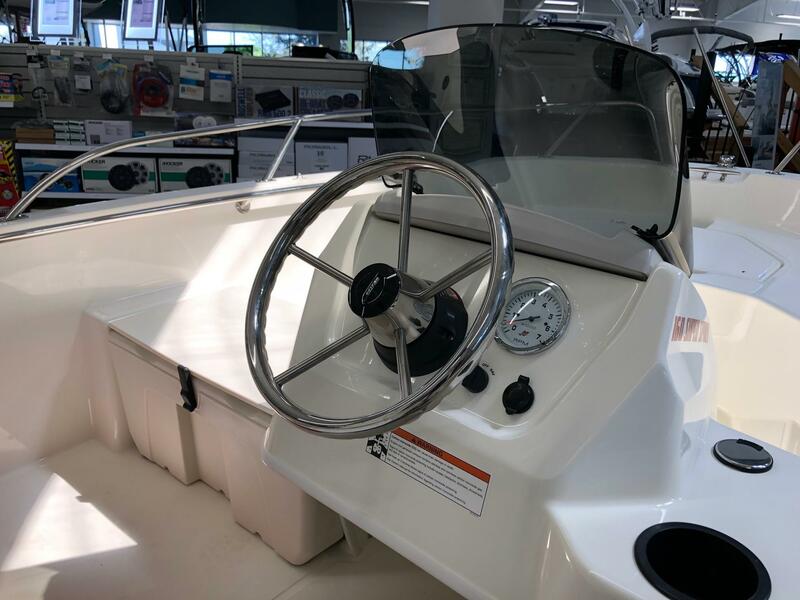 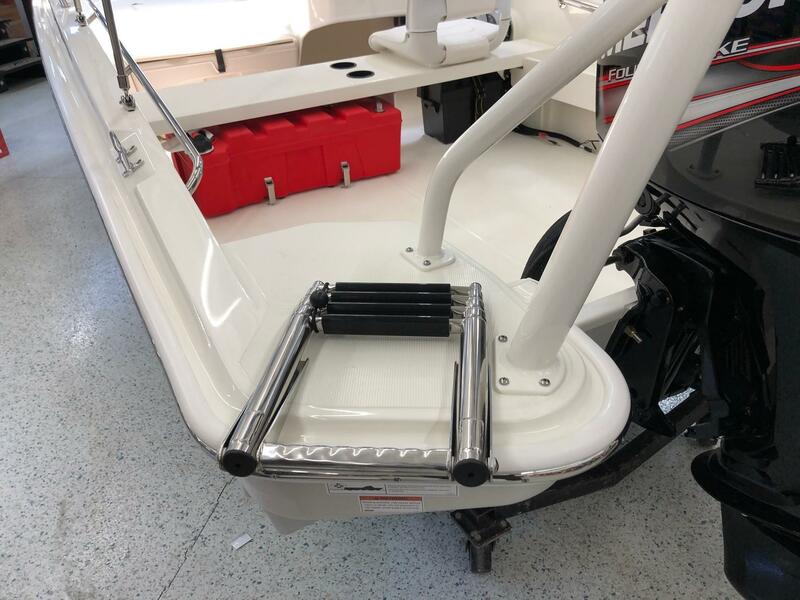 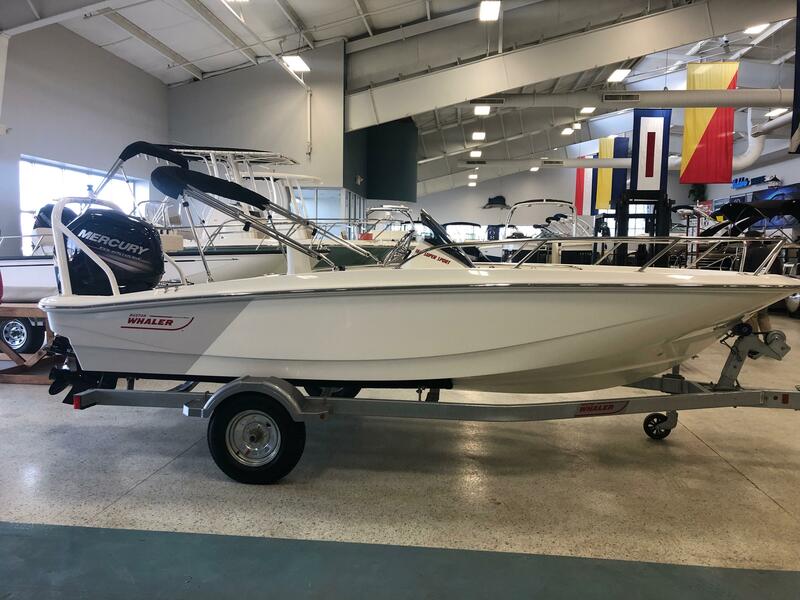 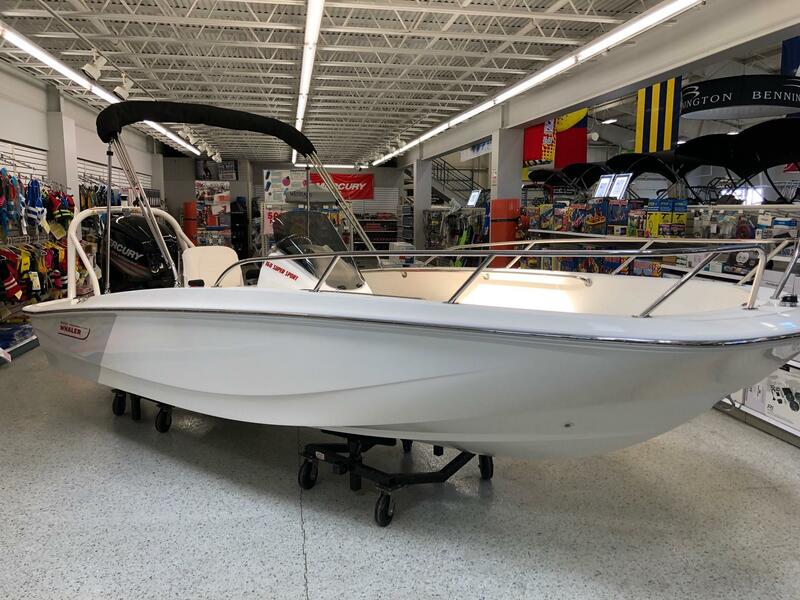 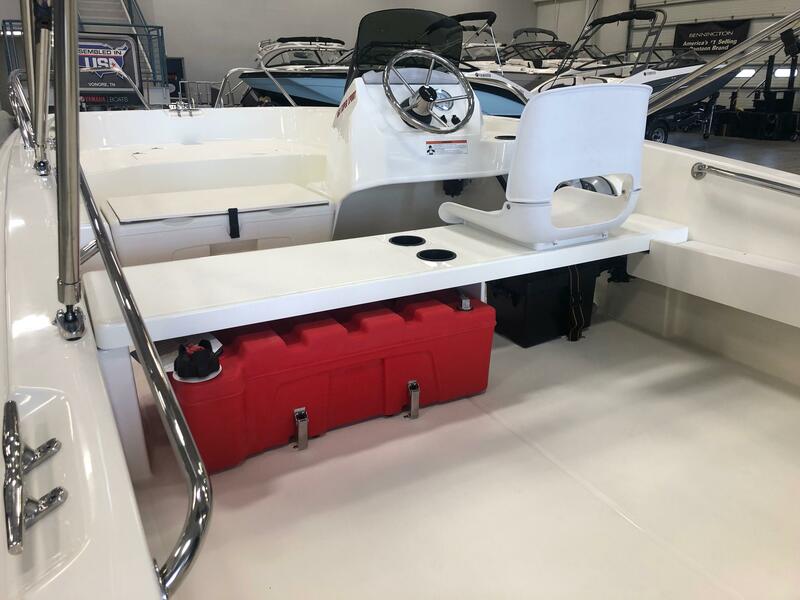 2019 Boston Whaler 160 Super Sport featuring a Light Grey Gelcoat with Red Graphics. 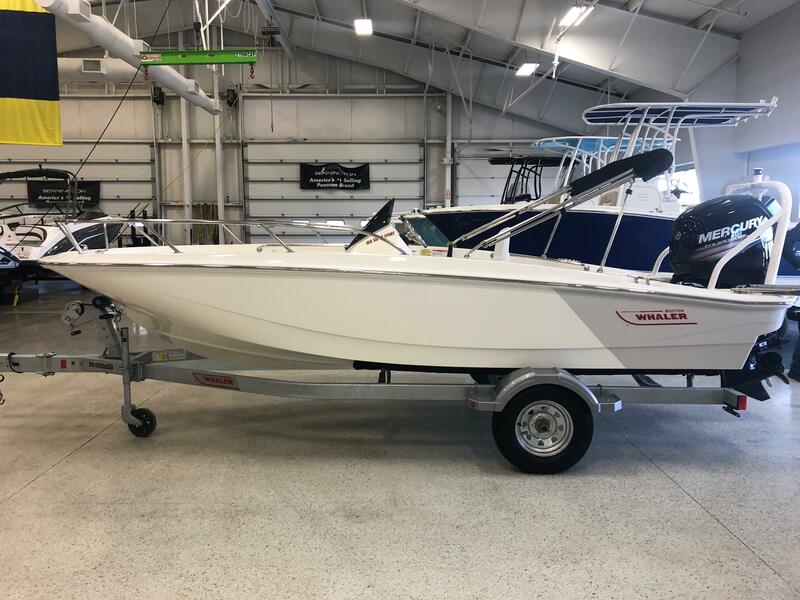 Powered by a 90hp Mercury 4 Stroke. 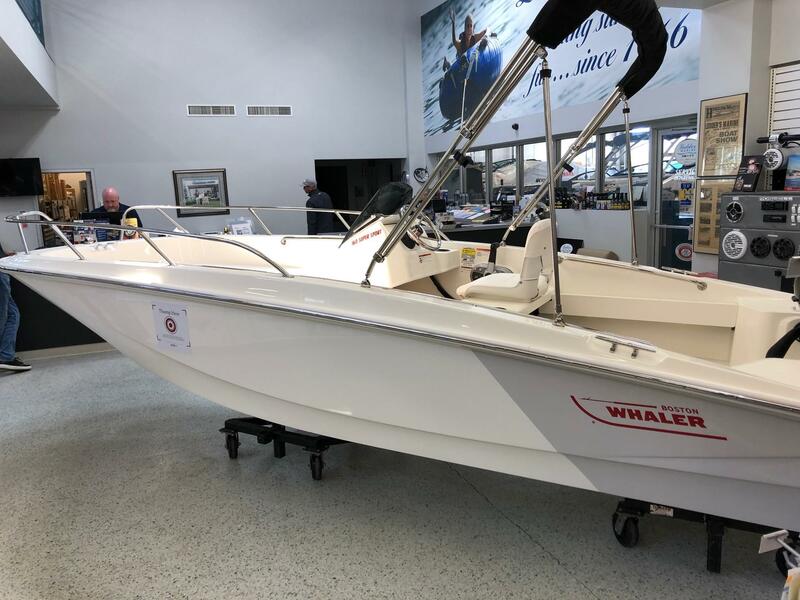 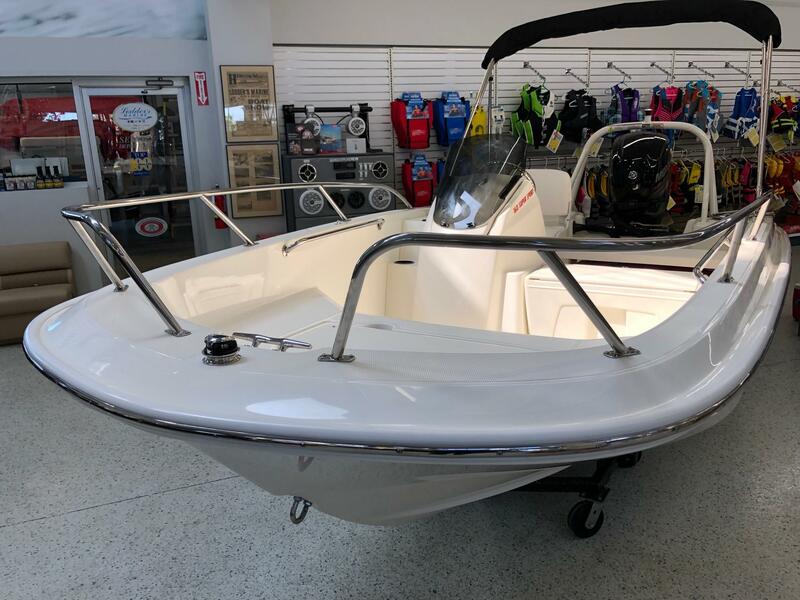 Features Include: Split Bow Rail, White Rubrail with Stainless Insert, Windshield, Sun Top with Boot, 19 Gallon Top Side Fuel Tank, Ski Tow, and a Galvanized Single Axle Karavan Trailer.